Germany is facing economic and social issues. Rarely have the fortunes of a major European nation changed so quickly as Germany’s. Far from being a driver of the European policy process, a role it had just settled into, Germany now finds itself driven by events, mainly the refugee crisis. This turn will not only have a significant impact on Germany’s ability to manage its own affairs but is also bound to have global consequences. If Germans have proved particularly adept at one skill, it has been what can broadly be described as complexity management. That is why, for example, German policy makers felt that they could take it upon themselves to launch a radical shift toward renewable energy, even though that strategy met with near disbelief in many quarters outside the country. Meeting that mega-sized energy transformation challenge alone basically required an “all in” effort on behalf of policy makers, industry, and society at large. Despite the daunting challenges, Germans by and large felt optimistic about their collective ability to get it done. Now, on the eve of the COP21 climate talks in Paris, in the midst of the refugee crisis, one can’t be so sure any more that Germany can stay the course. Merely coping with the tremendous refugee inflow has quickly become an all-absorbing effort. All of a sudden, the ability of public authorities and the private sector to get much else done is very limited. Germany’s civil servants, skilled and efficient as they generally are, are plainly exhausted. That exhaustion is felt at the local, state, and federal levels. Just how profoundly the policy landscape in Germany has changed reveals itself perhaps most starkly if one looks at the members of Chancellor Angela Merkel’s CDU party in the German Parliament. Many are basically speechless, if not incensed. The continent can and must become a great land of immigration in the 21st century. They believe, with good reason, that Germany was already facing many serious policy challenges, from the eurozone crisis to improving the integration of young immigrants that were already in the country. Those problems now seem a mere pittance compared to dealing with the vast inflow of refugees. It has been a rude awakening for a country that thought itself so in control of its destiny. 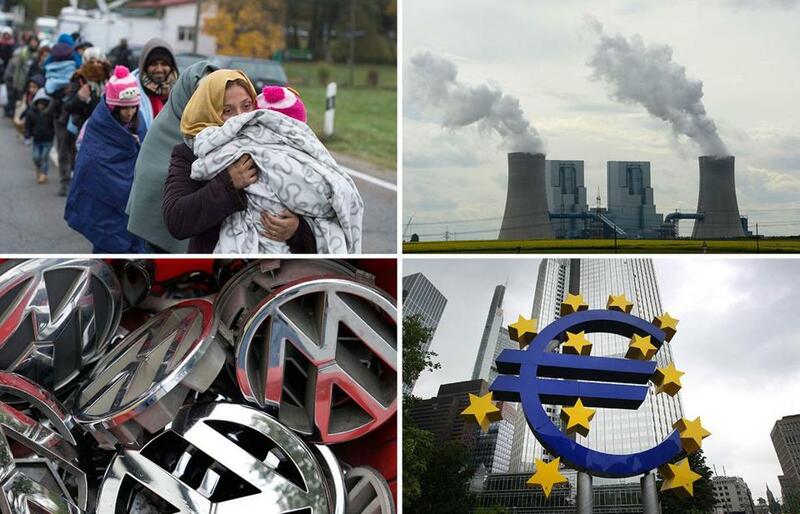 Amidst all that, Volkswagen’s diesel scandal doesn’t help. Perceptions matter a great deal, and the fallout is bound to have an impact on Germany’s export industries, at least in terms of reputation. In addition, markedly reduced tax payments from VW and its suppliers, whether owing to losses or declining sales, reduce the fiscal space of state and local governments at an inopportune time. Where does all of this leave us? It would be, of course, completely inappropriate to use the refugee problem as an explanation for Germany’s — and Europe’s — present troubles. It is much more appropriate to argue that the massive wave of refugees simply exposed many of the cracks that had already shown up in the European edifice. A key reason for the increasingly reserved reaction to the refugees’ arrival is that EU countries have had a hard time over the past decade growing their economies. Societies with low growth are quite naturally more worried about taking on additional challenges in the public policy arena. Meanwhile, youth unemployment remains a significant problem. In Poland, frustration about that one issue just turned out to be a major factor in a change of government. Germany is maintaining a delicate balance. Many citizens do want to help and are open-minded, provided sensible structures are put into place about the total number of refugees and properly assessing their status. The key issue with regard to the refugees’ successful integration ultimately depends heavily on their employment prospects. Based on past experience, one should not be overly optimistic. For example, in Germany the long-term employment probability for refugees and humanitarian migrants is about 55 percent, which is substantially lower than the one for economic migrants (75 percent). In the short run, one should not expect that their employment probability will be much higher than 30 percent. All in all, the refugee crisis is best understood as a make-or-break issue for the European Union. All the talk about an ever closer union all of a sudden sounds hollow to many citizens. Politicians in quite a few countries have quickly given in to pursuing purely national solutions, as if these could stem the tide. 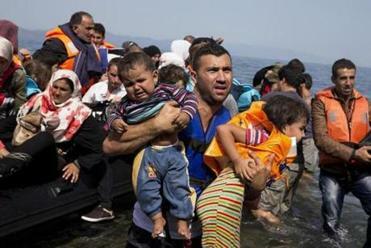 It appears that many EU member nations gladly take in the benefits of EU membership but are unwilling to take on the obligations that come along with membership when it comes to a fair distribution of the refugees. Those words may never have rung truer than for Europe today. The supposed solution, held out by many, that what’s needed is just to reinstitute national borders may be alluring, but it is illusory. Klaus F. Zimmermann is director of the Institute for the Study of Labor in Bonn, a global network of labor economists, and publisher of its “Simply Labor” blog.